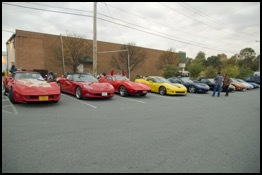 Northern Virginia Corvette Club prides themselves on having activities and events for every kind of Corvette owner. Please check our Events Calendar to view upcoming events. See photos of past club events and club member’s Corvettes in our online Gallery. Read about club happenings in our monthly Newsletters, posted here on our site. Autocross & High Performance Drivers Education (HDPEs): High Speed Driving and Autocross events. This could be track days, car control clinics, or autocross for example. Try your car out at an HDPE, skill levels can vary from beginning to advanced for most events. 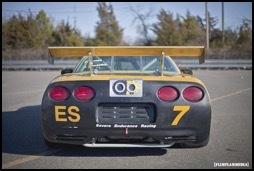 Learn how to handle the Corvette's horsepower by checking out our Car Control Clinics. Rallyes: From TSD Road Rallye’s (Time, Speed, Distance) to Fun Social Rallyes. We offer several annual events, such as our Christmas Lights Rallye, as well as share events from other local NCCC clubs in the area. Car Shows: Fun Shows (Points / People's Choice) are offered several times in the season. NVCC typically does one large Fun Show each year, and sometimes an additional fun show, such as Car-B-Que. We also post local area shows, such as Winery events, Cars and Coffee, and Cruise-Ins. Cruises: Cruises are held throughout the year as a fun social event. They start at a specified location, traveling on a set path as a group (typically fun twisty or scenic roads) and ending at a specific destination (many times at an event or dinner spot). See our calendar for the next planned event. Parades: Parades are another fun social event held throughout the year. We participate as a club in various parades around the area, such as the DC St Patricks Day parade, Columbus Day Parade (varies from year to year), FSCC Corvettes on the Boardwalk Parade, the Vienna Halloween Parade, and the Leesburg Christmas Parade, just to name a few. See our event calendar for the next planned event. Teen Driving Program- TIRE RACK STREET SURVIVAL: Typically Twice yearly we host a Teen Driving program to teach local teens car handling and road safety. This is a program that our club runs for learner-permit or licensed teens (who are not required to be part of the club). We have paired with Tire Rack to put on this program now, called Street Survival...Learn more about it at http://streetsurvival.org. Garage Nights: Throughout the year, we host Shop-Days or Garage Nights at local garages to do demonstrations, track prep, or basic maintenance classes. Contact the Head Tech for information or to suggestion locations/ topics. Spooktacular Autocross Event: Annual event held by NVCC with Low and High Speed Sanctioned Autocross events. And Many Other Social Activities: NVCC hosts many fun social events throughout the year, which we post in red on the events calendar. We have an Annual Club Banquet, usually held at a nice restaurant where we do our yearly recognition of club members and events (typically held in the winter months), an Annual Club Picnic (free to members-typically held in the summer), and hold Meet-N-Greets/ New Member Social Cruise-Ins around the area. We attend other local clubs’ events, such as various Drag Racing Events, Rallyes, Karting Days, Picnics, etc. Check out our club Events Calendar for more information. Contact our social chair with questions or for event ideas. New to Corvettes? Explore our Information Page or our facebook page for knowledge and assistance, or our Contact Us page to reach a council member that can help or direct you to a resource within the club. Check out our FAQ page for answers to your questions about our club and its activities. Sound exciting? Then check out our Membership page to join the club and start enjoying your Corvette's potential to the fullest.